This beer was awesome. I wasn’t expecting it to be as great as it was, but they really nailed it with this beer. 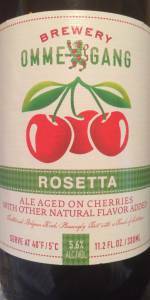 It was a cherry beer from what with a slightly sour taste. It wasn’t too strong though, and it was really enjoyable.